A Constitution Bench of the Supreme Court will hear the Aadhaar case tomorrow at 2 pm to decide on interim relief. Lawyers for the petitioners mentioned the matter today, at which point Chief Justice of India Dipak Misra revealed that the Bench will be constituted to hear the case at 2 pm tomorrow. 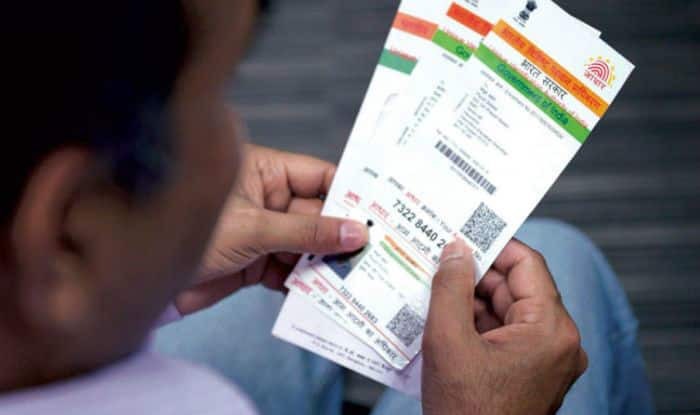 Numerous petitions have been filed challenging primarily the Centre’s push to make Aadhaar mandatory for a host of services. This, the petitioners claim, is in violation of a Supreme Court order passed in August 2015 clearly stating that Aadhaar cannot be made mandatory. A couple of months ago, the requirement of Aadhaar for filing Income Tax returns was challenged once again by original petitioner Binoy Viswam. The latest petition pending before the Supreme Court was a challenge to the compulsory linkage of Aadhaar to mobile numbers. It was contended in that petition that the Centre was deliberately misinterpreting the court's order passed in August 2015. Another petition, assailing the requirement of Aadhaar for the Mid-day Meal Scheme and a host of other social service schemes, is also pending before the Court. The Court had agreed to hear the matter for interim reliefafter Senior Advocate Shyam Divan mentioned it. During that hearing, the Centre agreed to extend the deadline for linking Aadhaar with various schemes for those who are yet to be enrolled under the scheme. The main case emanates from a petition filed by former Karnataka High Court judge Justice KS Puttaswamy. Earlier this year, a nine-judge Bench of the Supreme Court decided on the Right to Privacy aspect of the challenge, ruling that unequivocally that it was a fundamental right.